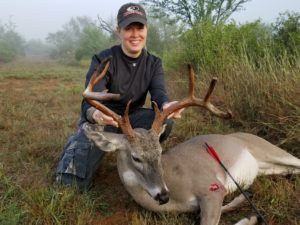 Shauna Epeards has been bowhunting for ten years. She has been able to harvest tremendous animals and hunted Africa, New Zealand and all over the United States. Shauna has also taken the Grand Slam of turkeys.